During warmer months, we don’t mind parking the cars outside. 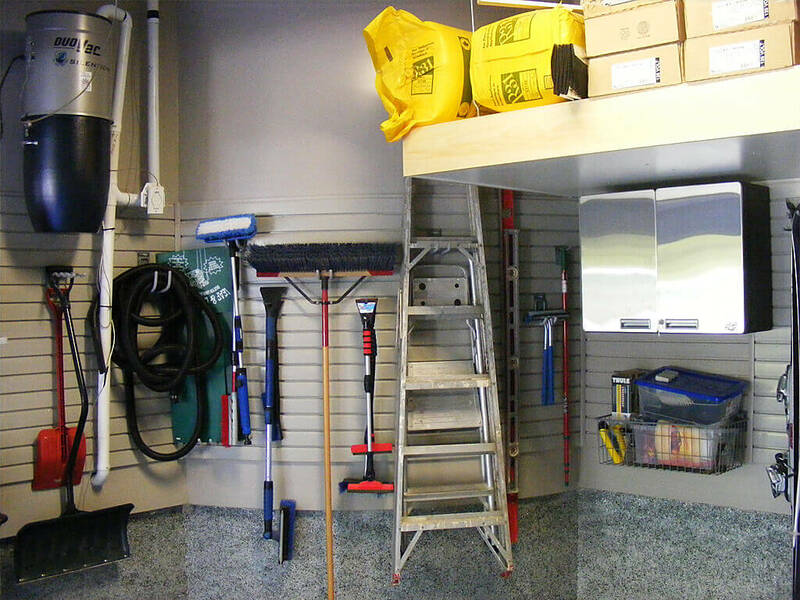 It’s easy to overlook a cramped or cluttered garage. When temperatures drop, we’re prompted to squeeze our vehicles inside the garage to protect them from the harsh winter weather. This subjects them to scratches and dents as we try to maneuver in a crowded, overstuffed garage. Even worse, many find it impossible to make room for their vehicles amidst the tools, toys, old furniture and sporting goods that have taken over their garage. It’s no wonder homeowners begin making plans for home and garage renovations this time of year. If garage organization and renovation has risen to the top of your spring to-do list, here are five things to look for when searching for a garage interior renovation expert. The profusion of renovation shows have empowered us to take on our own décor and renovation projects, with varying results. However, when it comes to hiring a garage renovation specialist, don’t be fooled by the flashy DIY websites of newbies and weekend hobbyists who have limited knowledge and experience. Anyone with a knack for organizing can throw up a website and declare themselves a garage renovation or garage organization expert. Even if the finished product looks beautiful, the work may not be sound or endure the test of time. Additionally, if the project doesn’t meet local building codes, it could cause problems down the road, if you ever decide to sell your home. If you can’t get a referral from a friend or neighbor that has had a similar project done, search a reputable contractor database, like HomeStars, for a garage renovation expert. Check to see how long the contractor has been in business. Review photos of completed projects, either on the database or on the contractor’s website. Have they completed a wide variety of projects or just a handful? Is the quality of their work and their design aesthetic compatible with your needs? When meeting with a potential garage renovation contractor, don’t hesitate to ask direct questions about his or her past experience. Ask for photos of other projects, then ask about customer reviews and testimonials. It’s easy for potential contractors to overstate their level of talent and experience. However, hearing from current and former customers provides a stronger gauge of how happy you will be with the contractor’s work. A reputable company with a wide range of experience should gladly supply customer testimonials. Better yet, a well-regarded garage renovation expert with a long list of happy clients is likely inclined to provide the names of a few customers who are willing to speak with you about their experience with the company. When talking to past customers, ask not only about the quality of the contractor’s work, but his or her reliability and work style. Did the project come in on deadline and on budget? What is their work ethic? Were workers on the project when they said they would be? 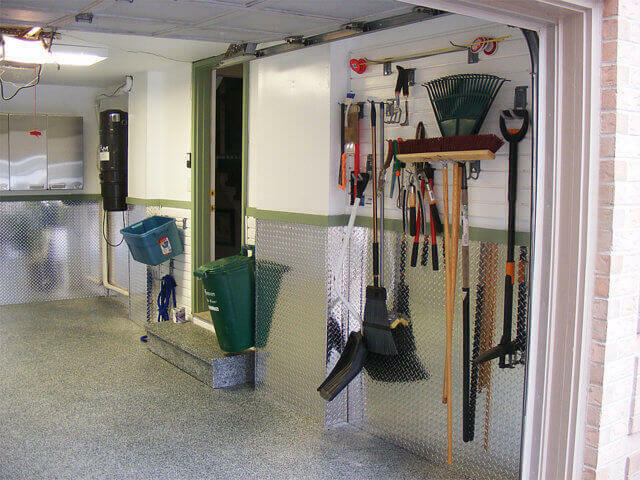 Highly-rated garage organization and renovation experts have dozens of reviews from satisfied customers. Such details are often included in those reviews and testimonials. Every garage is different. Primarily because each homeowner has specific lifestyle needs which impact how the garage is used. Active sports enthusiasts require extensive sports equipment storage. Green thumbs and gearheads require adequate storage and workspace for their pursuits. A family with young children needs storage for toys and sporting goods that is easily accessible to little ones. They also need a way to store dangerous household chemicals out of their reach. Off-the-shelf organization solutions aren’t designed to fit specific storage needs. 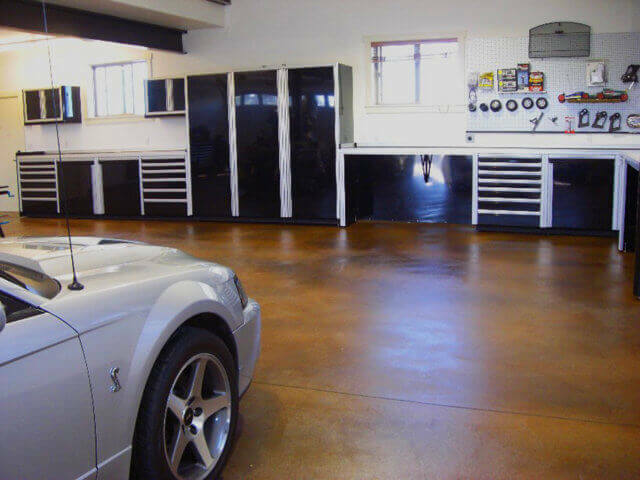 To ensure you’ll be happy with your garage renovation now and down the road, find a garage renovation specialist who will tailor a solution to your specific needs. An innovative garage renovation expert will tailor a solution to your specific storage needs, not coerce you to accept a one-size-fits-all solution that doesn’t suit your lifestyle. Nothing is more frustrating to homeowners than a renovation project that doesn’t meet their expectation or far exceeds their budget. Prevent unpleasant surprises by ensuring that any potential garage renovation contractor provide you with a complete proposal of the work to be done. The proposal should spell out all of the plans for the renovation in clear detail. The types of materials that will be used and the projected cost and timeline of the project should be clearly enumerated. Don’t leave important details to chance. Good contractors do excellent work. They provide great service and stand behind the products they install. Before hiring a contractor, talk to him or her about what assurances they provide in the event something goes wrong. Will they stand behind their work? Quality products usually come with a standard manufacturer’s warranty. Find out what products the garage renovation expert proposes installing and what kind of warranty is offered on each product. Ask specific questions about how the contractor will handle any problems that arise during the project or after it’s completed. Make sure the contractor is willing to put such assurances in writing. Whether you’re planning a major interior garage renovation or a smaller garage organization project, you want to work with a solid, reputable expert. Search for a garage organization and renovation expert with experience and dozens of customer reviews and testimonials to back it up. Look for an expert who offers customized solutions with no unpleasant surprises. Then make sure he or she is willing to stand behind their work and the products they use.